Time for another giveaway !! 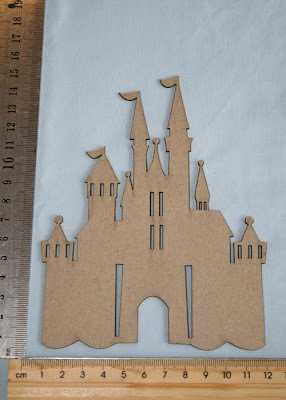 To celebrate the release of our brand new fairies I'm giving away ONE chipboard (not black core) Fairy and ONE Fairytale Castle embellishment (as pictured) to one lucky winner. 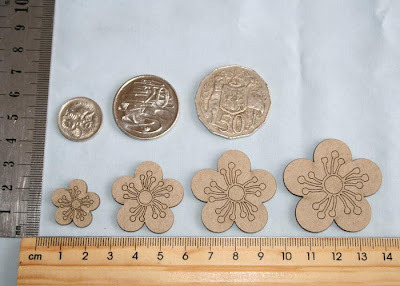 and also tell me your favourite Cindy's Lasercuts design. Entries close at midnight AEDST November 30. The winner will be drawn using a random number generator on December 1st. Multiple entries will only be accepted where a new/different blog or forum link is provided in your comment. Incomplete/illegible entries will be excluded from the draw. The winner will be announced in a new post here and contacted via the email address they supply. The winner will have one week to claim their prize, after which time a new winner will be selected. International entries are welcome ! See...I promised you new girly designs, and here they are ! 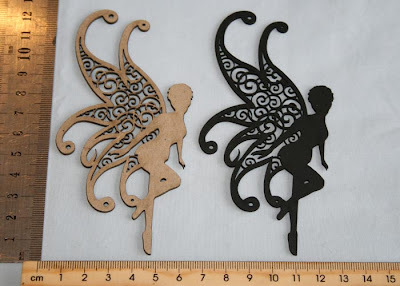 Fairy - this gorgeous fairy has delicate filigree wings and is ready to adorn any scrapbook page or girly card. 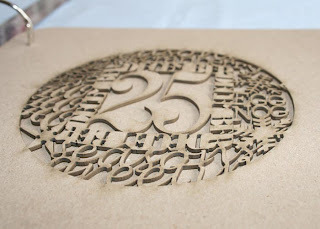 She is available in both raw chipboard and this fabulous new black core board. 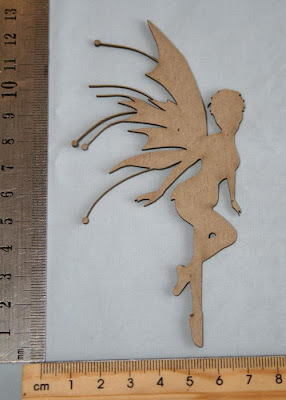 Fairy 2 (wispy fairy) - the same as the previous fairy only with different wings. 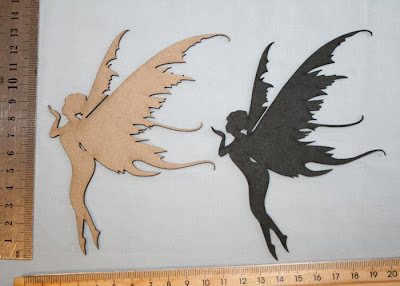 Fairy Kisses - Add some stars, hearts or fairydust to her hand and watch her blow it to you in a kiss. 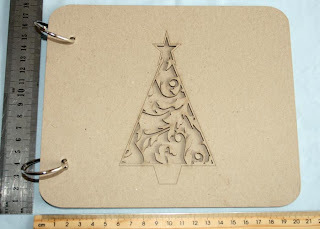 Available in raw chipboard and black core board. And somewhere for all Princesses to live; a beautiful Fairytale Castle. 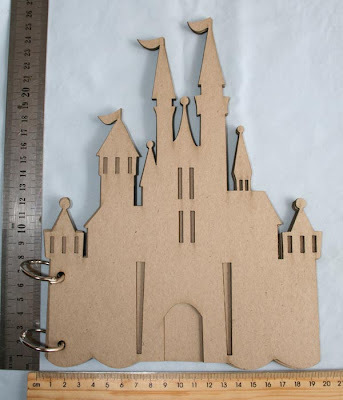 Available as both an album (see below) and an embellishment this pretty castle is sure to please all little (and big) girls. And here it is, our beautiful Fairytale Castle Album. Complete with 2 hinged rings, front and back covers and middle page, this pretty album would make a perfect gift for a favourite little girl this Christmas. Our black core board is proving to be VERY popular with customers. 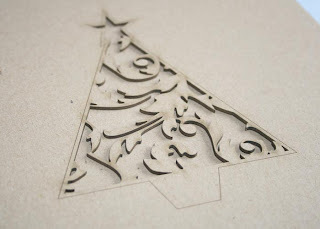 Due its popularity we now have a huge range of lasercuts available in this ready-to-use material. 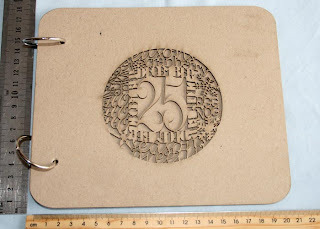 With no painting required you simply attach it to your page and you're done ! Just some of our other products include a cityscape, spider, music notes, our hummingbird, fushcia, pop tree and our fairies. 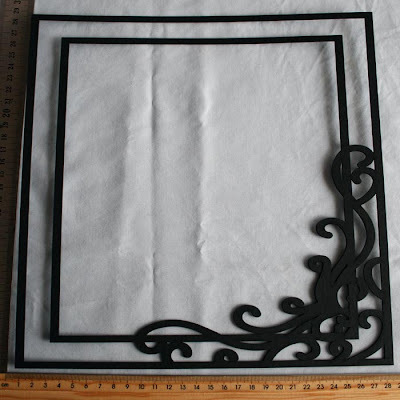 And here is our elegant Scroll Frame, available in both 12"x12" and to suit 5"x7" photos. How sweet are these little guys ? 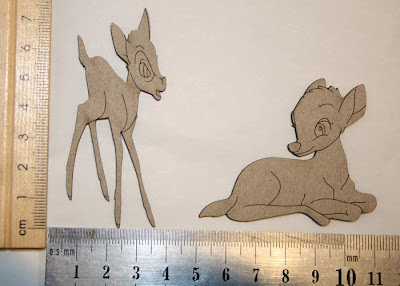 Two beautiful little deers; one standing and one sitting down. 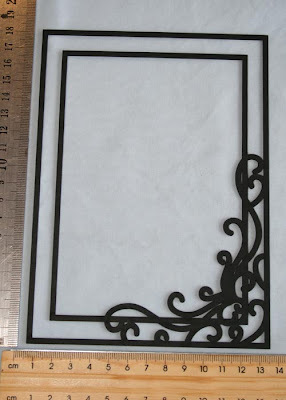 These would be gorgeous on a baby card or layout ! Well..not really cherry pie...cherry blossoms actually ! Available in 4 sizes as pictured (I believe these are sold in mixed sets so contact Sharndra for specifics). 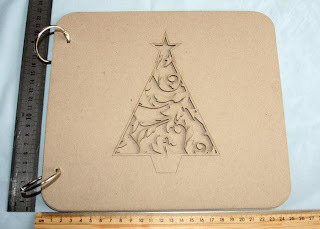 Our Christmas Bauble and Damask Tree were so popular that we just had to turn them into albums ! 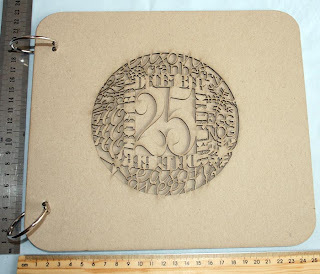 Both albums come with hinged rings and are available in sizes to suit both 6"x6" and 8"x8" page protectors.